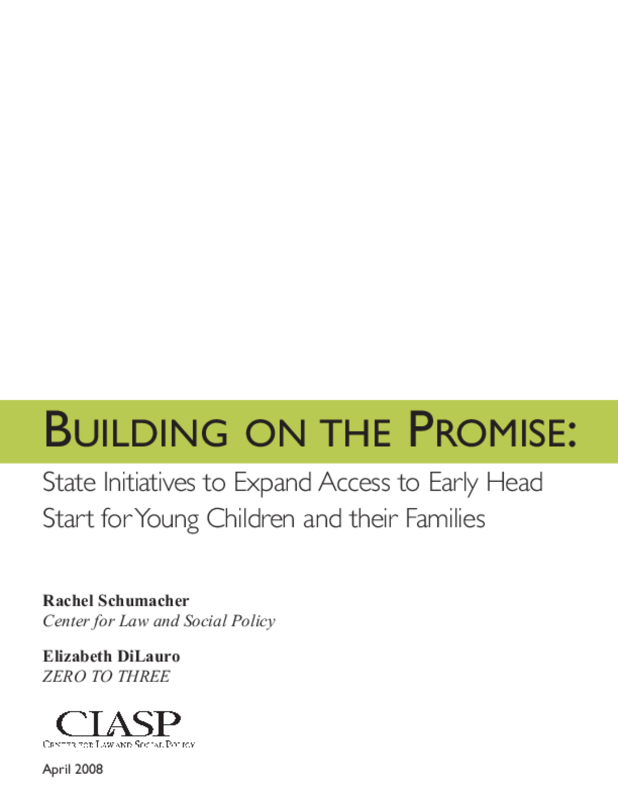 Discusses twenty states' approaches to expanding and enhancing Early Head Start services, opportunities and challenges for state initiatives, and recommendations for building on existing services for at-risk children. Calls for increased federal funding. Copyright 2008 Center for Law and Social Policy (CLASP).